Anjum Anand’s simple naan breads, flavoured with garlic and fresh coriander, are quick and easy to make. Each serving provides 27 kcal, 6g protein, 42g carbohydrates (of which 3.5g sugars), 8.5g fat (of which 2.5g saturates), 2g fibre and 0.7g salt. Make a well in the centre of the flour mixture and pour in the liquid mixture. 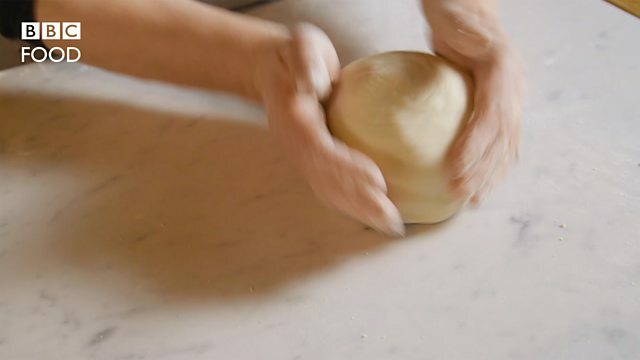 Slowly mix together the dough by working from the centre and incorporating the flour from the edges of the 'well', to make a smooth, soft dough. Knead well for 8–10 minutes, adding a little flour if the dough is too sticky. Place the dough into an oiled bowl, cover with a damp tea-towel and leave in a warm place for 10–15 minutes. Form the dough into five balls. Roll the dough balls out quite thinly, ideally in a teardrop shape, but really this is just aesthetic. Sprinkle over your chosen topping and press into the surface of the dough. 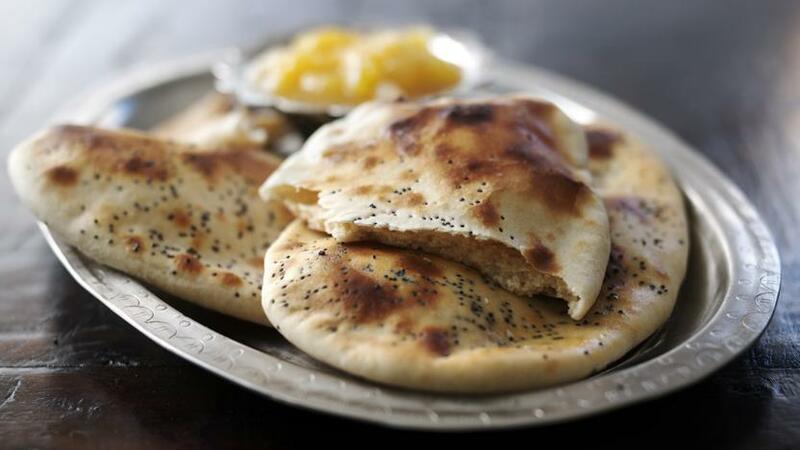 Place the naans onto the hot baking sheet and grill for 1–2 minutes, or until lightly browned. Brush with butter and serve hot.